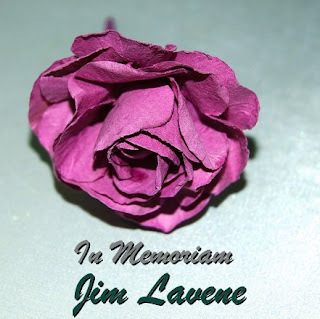 We are bereft to acknowledge, today, the passing of one of our Killer Characters family, Jim Lavene. With his late wife Joyce, he co-wrote delightful mysteries that will live on, giving so much joy to readers through the years. We offer his family, friends and readers all our sympathy. 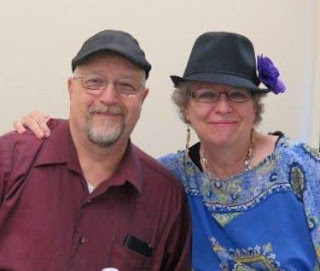 Jim, we miss you terribly, but hope you and Joyce, reunited, will rejoice in being together again. I am so very sorry to hear this. He was a lovely man. So sad to hear this- my thoughts and prayers to his family. They were two of my favorites. My condolences to the family. So very sorry to hear. They are reunited again. My heart is broken. My thoughts and prayers are with their children. His heart was just too sad without Joyce. My thoughts and prayers go out to his family and friends. At least now they are back together again. He will be missed, also. So sad to lose both of these wonderful people. Such sad news. Thank you, readers, for helping us remember and celebrate Jim and Joyce, for their bright spirits and deep love. Jim and Joyce entered my home through their delightful stories. I will surely miss them.